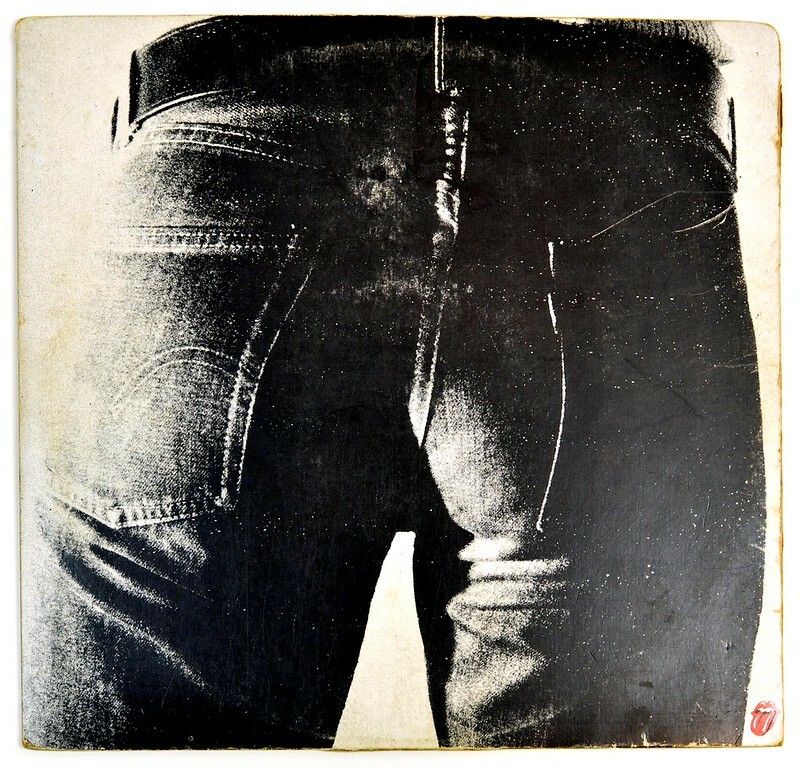 "Sticky Fingers" is the ninth British and eleventh American studio album by English rock band The Rolling Stones, released in April 1971. 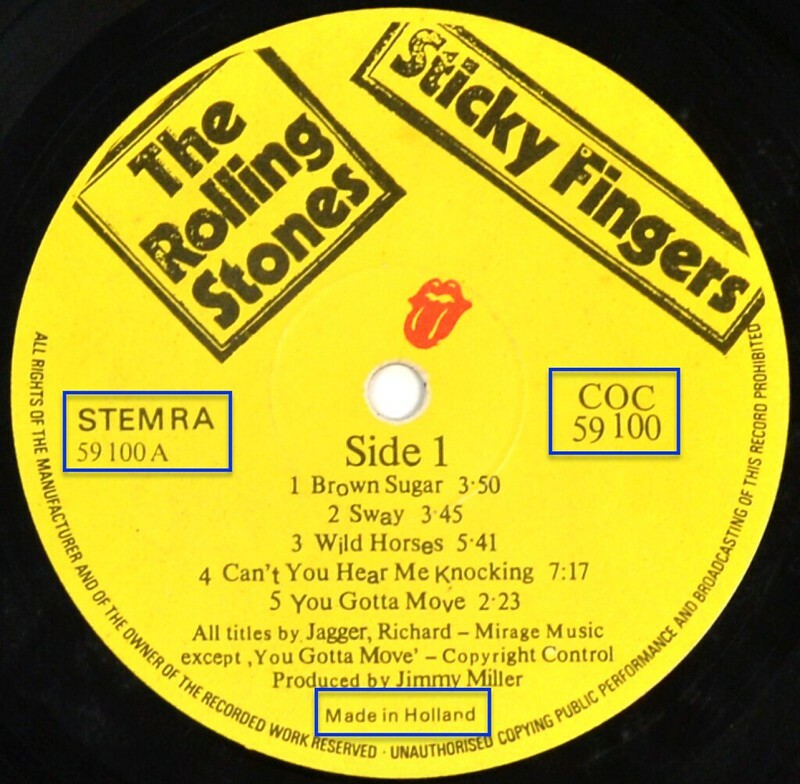 It is the band's first album of the 1970s and its first release on the band's newly-formed label, Rolling Stones Records, after having been contracted since 1963 with Decca Records in the UK and London Records in the US. 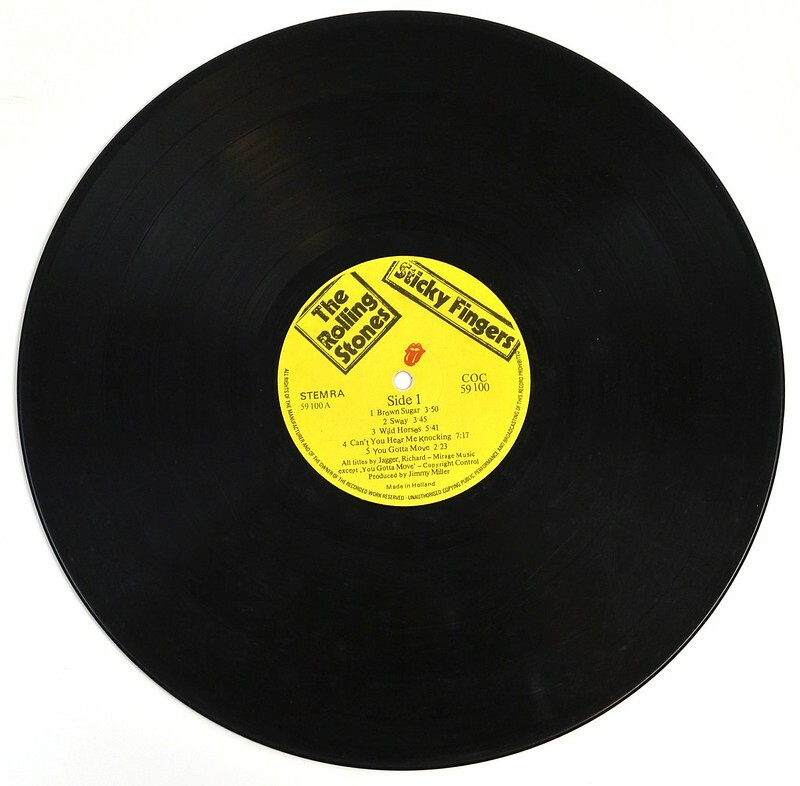 It is also Mick Taylor's first full-length appearance on a Rolling Stones album, and the first not to feature any contributions from founding guitarist Brian Jones. 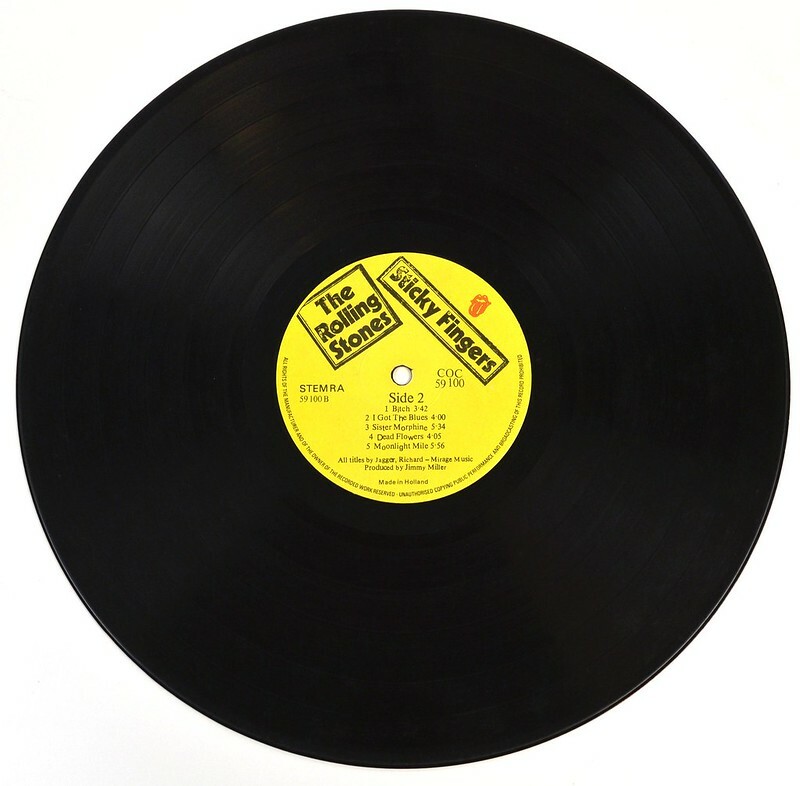 Cover: Very Good (VG) - LP cover will have obvious signs of wear. 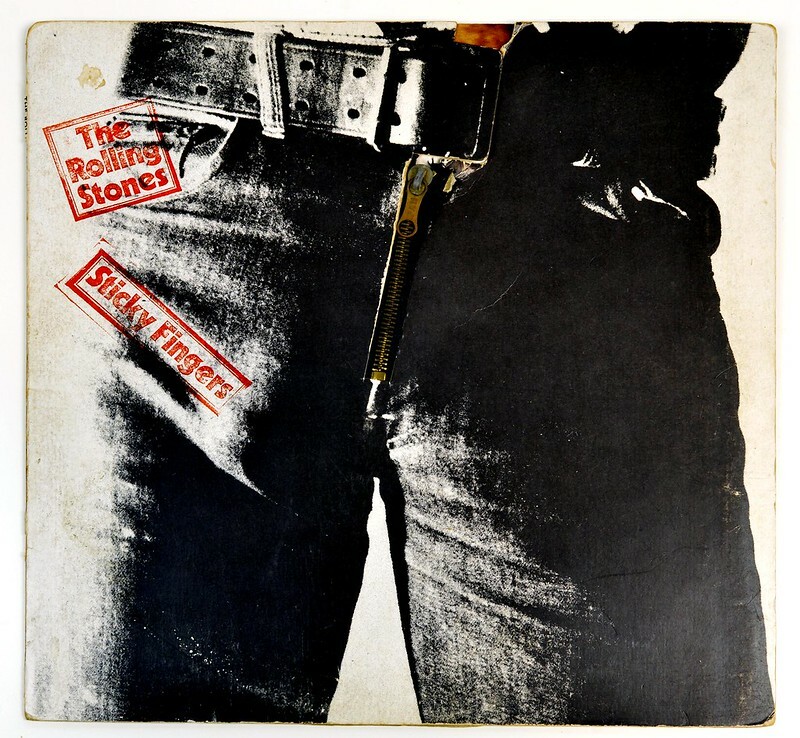 High Resolution and Quality Photos of Complete Album Covers "ROLLING STONES - Sticky FIngers Real Zip Netherlands"
Album Back Cover Photo of "ROLLING STONES - Sticky FIngers Real Zip Netherlands"
Bill Wyman – bass guitar, electric piano on "You Gotta Move"
Ian Stewart – piano on "Brown Sugar" and "Dead Flowers"
Nicky Hopkins – piano on "Sway"
Jim Dickinson – piano on "Wild Horses"
Billy Preston – organ on "Can't You Hear Me Knocking" and "I Got the Blues"
Rocky Dijon – congas on "Can't You Hear Me Knocking"
Ry Cooder – slide guitar on "Sister Morphine"
Jack Nitzsche – piano on "Sister Morphine"
Jim Price – trumpet, piano on "Moonlight Mile"
Paul Buckmaster – string arrangement on "Sway" and "Moonlight Mile"
Pete Townshend – backing vocals on "Sway"
Ronnie Lane – backing vocals on "Sway"
Billy Nicholls – backing vocals on "Sway"
Complete Track-listing of the album "ROLLING STONES - Sticky FIngers Real Zip Netherlands"